You might have noticed in Dolphin 7.0.4 and above Administration area that you can now check to see which cache engines are available on your hosting server. You will see Yes (available) or No (not available). File cache is considered default and should be available. The other cache engines may or may not be available. Whether they are available will depend on your hosts server configuration and setup. So you might see more than File cache available and you may not. 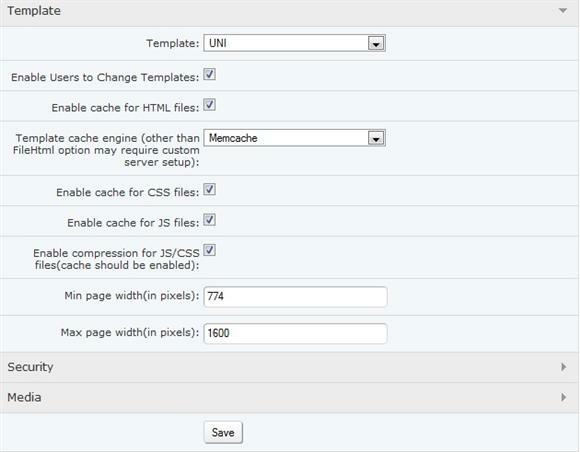 If you see Memcache Yes (available) and want to try it or enable it for your Dolphin 7 web site you can do so by doing the following. First make sure it is really available in Tools -> Host Tools -> Cache Engines. Here you will need to make some changes in "Other" and "Template" area. 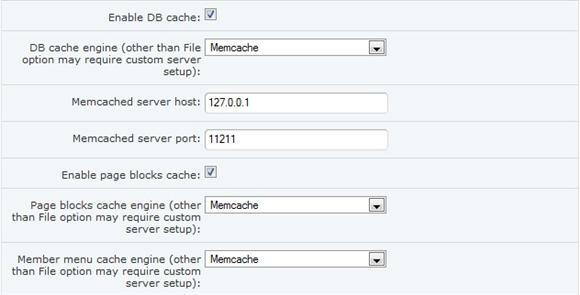 You will need to select "Memcache" from each of the drop downs. Memcached server host you will need to ask your host to make sure, but locally 127.0.0.1 is common as pictured. Memcached server port is usually 11211 by default. This is also common, but you should ask your host to make sure. Select "Memcache" from the drop down again. Then, Save changes at the bottom of the page. Browse your Dolphin 7 web site. Refresh and revisit pages. Should you want or need to clear your Dolphin 7 cache you will not be able to do so in Administration with Memcache feature. You will need to manually remove it with a ftp client or your hosts file manager. You can remove all files except .htaccess be sure to keep that one. Make sure you do ask your host what "Memcached server host" address and "Memcached server port" to use ahead of time. So you can properly set and use Memecache. Do not set or configure Memcache in Dolphin 7 Administration if it is not available.